Dubai is home, albeit temporarily, to more than 200 nationalities from around the globe, and that slow-burning melting pot marinates day after day in a desert-like formation only to converge at the doorstep of Darshan (Raj) Bijur (Blue shirt, blue suit in picture above). That’s because Raj runs a socially efficient human networking platform that is coveted by both single- and job-weary expats from pretty much anywhere in the world who happen to land at Dubai’s doorstep in search of the next big whatever. This why they call Raj the “Prince of Networking “ in Dubai. To know Raj is to know the who’s who of Dubai when it comes to landing the next job, the next relationship, the all-in-one socio-business juxtaposition. 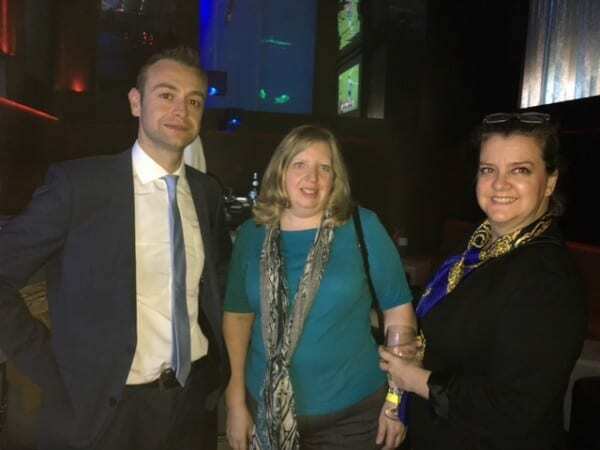 His group is called The Expats Club (http://www.theexpatsclub.net) and he is an affable yet charming social promoter of the highest order who throws more than 60 social and business networking events a year in and around hoite poite restaurants and venues all across Dubai. Raj has been at it for 2.5 years throwing the expat get-togethers and bringing people together. 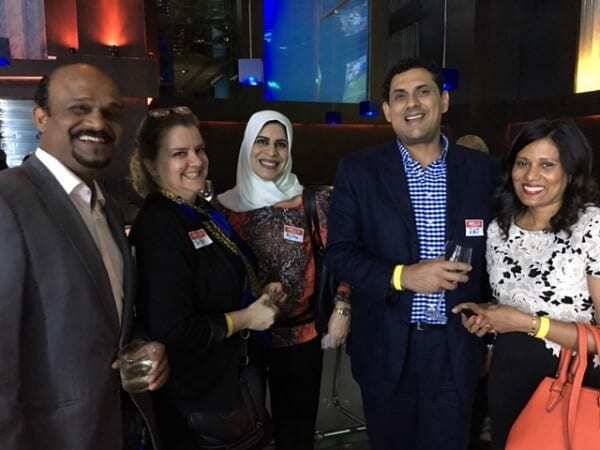 “People have forgotten how to connect,” says Raj holding a glass of wine and eyeing the room at a recent bash he hosted that we attended recently in Dubai. “There is such a huge potential for social lubrication” he says referring to today’s society at large living in dotcom glass houses serving domain name bubbles to each other. 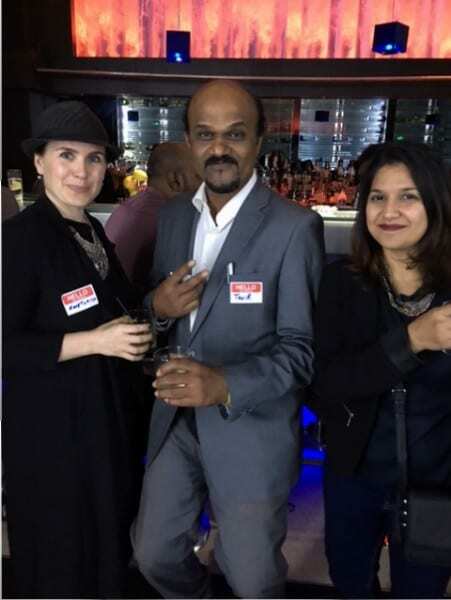 Raj helps people whether they have just moved to Dubai, or are in between relationships, or even in between jobs, and invites them to his events and holds no judgments or regrets when they come. 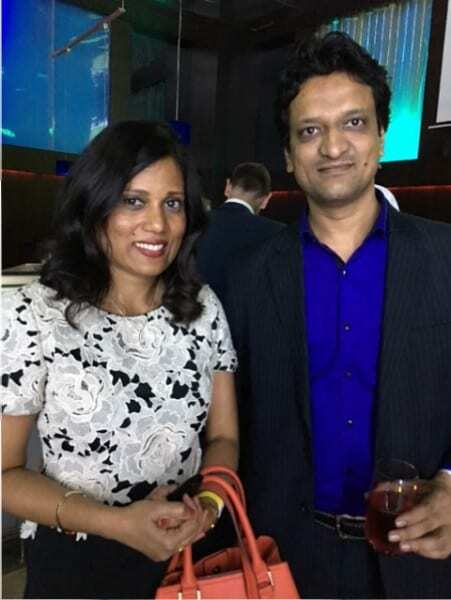 A financial consultant by day, Raj has helped countless professionals around the world by inviting them to his parties and arming them with a name badge and nudging them out of their social cocoons to put their best hand forward and smile upon the room. Some of the people we surveyed at the party were shy. Some were nervous. Some hadn’t really been to a networking event so didn’t know what to expect. And some that were looking for the next job didn’t want to be seen at the event! In a hour or so after a round or two of wine (included in the entry fee) people had started to shed their inhibitions and began to warm up to the idea of pressing flesh in melted handshakes as Raj subtly guided the room from one end of the majestic bar to the other, but often to leave most of the attendees to fend for themselves. The Expats Club is a membership-based organization and people join when they search for events on the web for Dubai, or through world of mouth. It isn’t suffocating by any means. Raj diligently responds to all membership inquiries, takes phone calls and emails at all odd hours, and is social-media savvy and posts events and updates on Facebook and LinkedIn quite frequently to keep his flock in the know. You really don’t have to know anybody to go and once you are there you just let the evening do the talking. His network currently exists in Dubai, Abu Dhabi, Doha, London (that’s where he is from but an Indian by ancestry), Singapore and Hong Kong. Membership to The Expat Club is open but costs 300 Dirhams ($80USD) a year for Men and 200 ($55USD) Dirhams a year for women and when one someone joins, they always get a discounted rate to each event he throws so that more than makes up for the membership dues. You can pay hundreds of Dirhams in a lobby bar in Dubai and meet people from around the world. Dubai is after all the most connected and well-oiled upscale supermarket of the world where anything can be had and achieved at any time and at price. But Raj’s efforts, and his parties, are priceless.